The powers-that-be are out to raise your taxes, according to The Murfreesboro Daily News Journal. State Rep. Charlie Baum, R-Murfreesboro, reportedly told the paper that the county’s 19-year-old development tax rate of $1,500 per home should increase for inflation to help fund school construction. “The County Powers Relief Act gave Rutherford a choice to either keep a locked-in $1,500 development tax per dwelling or switch to a county school facilities tax of $1 per square foot on new livable residential space,” the paper reported. Baum and other state legislators from the county met this week to discuss that matter as well as taxes and funding education, among other things. These legislators met with members of the county commission’s Steering, Legislative & Governmental Committee at the County Courthouse, the paper reported. “I realize in a growing county like Rutherford County we’re in position to build a new school a year,” The Daily News Journal quoted Baum as saying. Baum, the paper went on to say, used to serve on the County Commission. “Baum agreed to support the commission’s unanimous request to adjust the County Powers Relief Act so Rutherford would have options other than raising property taxes to pay for school construction,” according to The Daily News Journal. “New revenues could help the county fund a Board of Education plan to spend $517 million on school construction projects through 2024,” Baum told the paper. The Daily News Journal said the projects include two schools that will open in August — the $71.6 million Rockvale High and the $36.6 million Rocky Fork Elementary. Ernest Burgess, who once served as county mayor, advised against switching to a school facilities tax. He said tax collections would come after permits are issued. State Sen. Dawn White, R-Murfreesboro, and State Reps. Bryan Terry, R-Murfreesboro, and Mike Sparks, R-Smyrna, also attended the meeting, the paper reported. 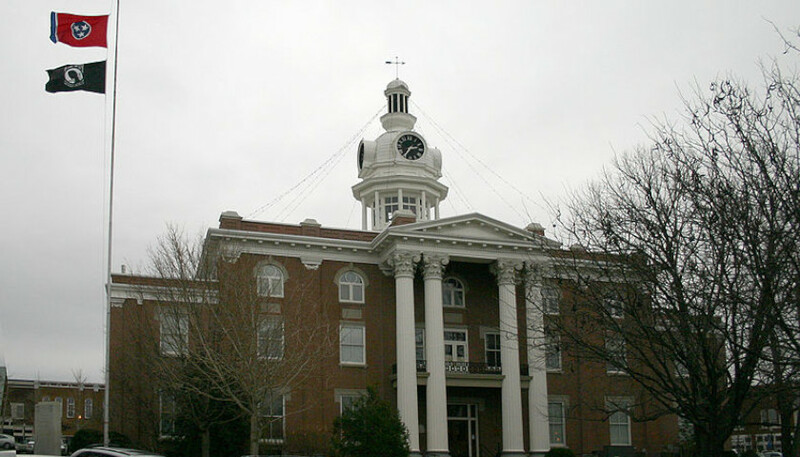 Photo “Rutherford County Courthouse” by Pollinator. CC BY-SA 3.0. Just another sign that those moving into Middle Tennessee want to bring their tax and spend agenda to our once conservative region. God help us.